Weather happens all the time, and usually we don't even notice it unless it's a major inconvenience. That's a shame because Mother Nature sometimes throws us a major curveball. That's when things get really cool. 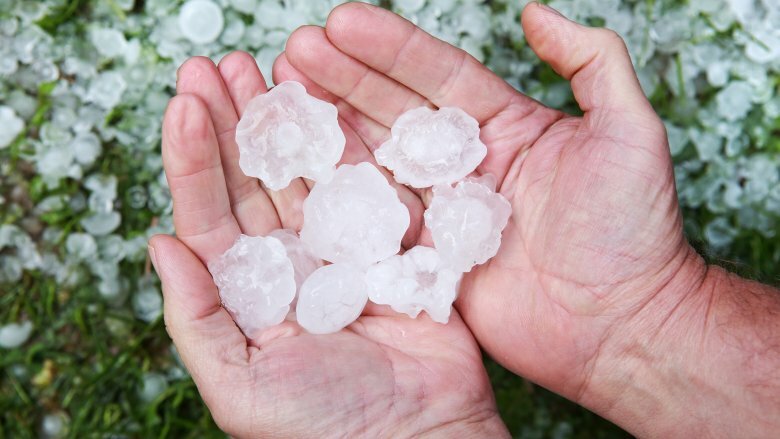 Here are some of the weirdest weather events ever. Imagine being a farmer in the American Midwest in the summer of 1874. You have a lot to worry about, and you're about to have even more. You look up into the sky on one hot, dry July morning, and you see a black cloud approaching your farm. That's not smoke — it's a cloud of locusts. How many locusts were there? Estimates vary from 124 billion up to 12.5 trillion, but why bother counting at that point? They ate their way across the Midwest, cutting a swath 110 miles wide and 1,800 miles long. 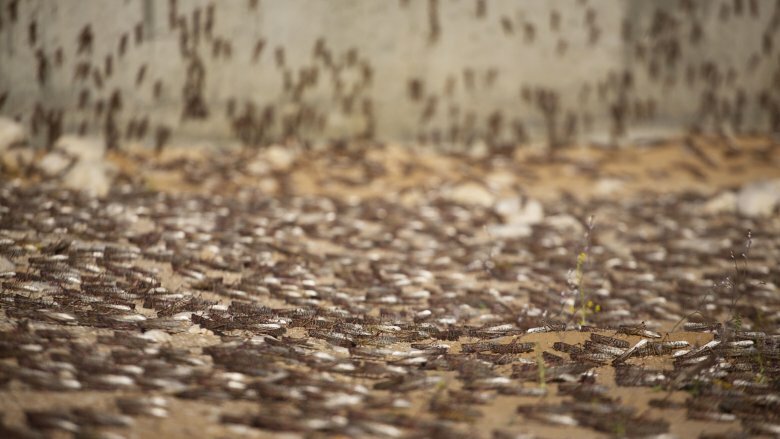 That summer was hot and dry: perfect for locusts. 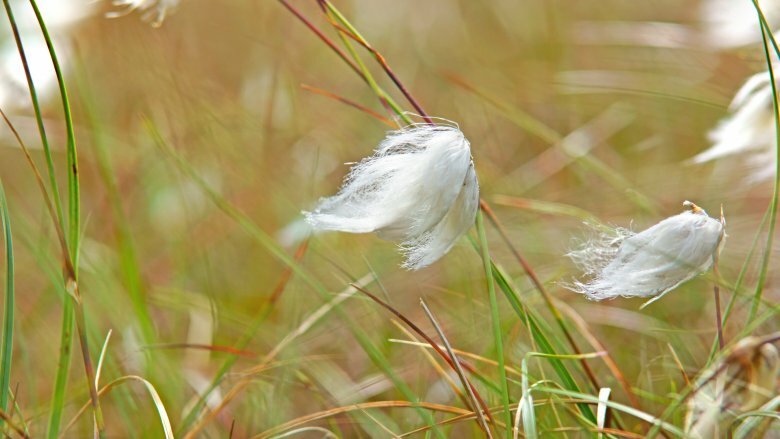 Prairie plants adapt to drought conditions by building up a concentration of sugars, which the locusts loved. They ate, they multiplied, and they ate some more. As the locusts formed a plague terrifyingly documented by the Nebraska State Historical Society, whole families starved to death as the hungry little monsters caused a ridiculous amount of damage to the farming industry. The greedy insects ate wooden tools, leather saddles, and even clothes that were still being worn. Chickens devoured the locusts, but this turned their eggs and meat oily and downright nasty. Dead bugs and bug poop coated everything with what looked like an oil slick, and many families fled the Midwest. Then what happened? The Rocky Mountain grasshopper went extinct around the turn of the century, which is certainly a huge relief to anyone currently living in the center of the nation. In April 1815, Mount Tambora in Indonesia erupted with a massive explosion that sent clouds of volcanic ash into the atmosphere. Much of the northern hemisphere was covered with a shroud of dirt and dust that refused to settle, and in June of 1816 it became clear that something was very wrong. The cold weather of the winter months just … didn't end. 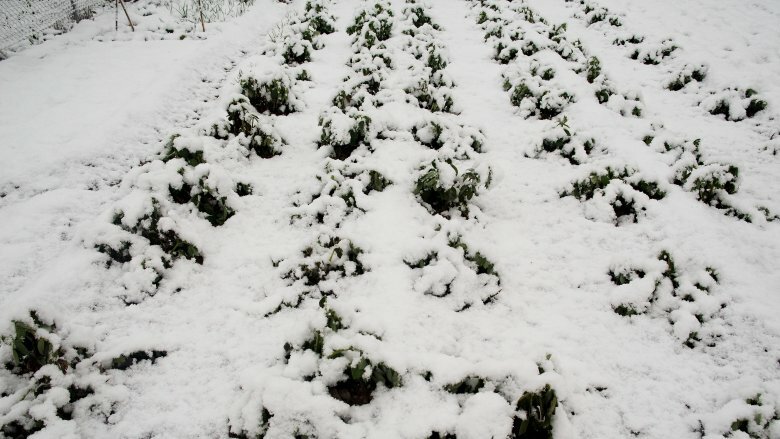 Frost killed crops; rain and snow persisted throughout the summer months. It was the Year Without a Summer, and with snow in June came starvation, food riots, the destruction of entire communities, rising food costs, an increase in crime, and USA Today blames it for one of the deadliest outbreaks of typhus in history. While cold seized the northern hemisphere, monsoons ravaged the southern hemisphere, spawning cholera epidemics and killing tens of thousands of people. Ireland saw its worst year of famine, and even more bizarre, China was forced to abandon growing rice for the summer and instead plant the more profitable poppy, fueling what would become the opium trade, according to The Guardian. Strangely, in the face of all that devastation, other things happened. The Center for Science Education links the rising costs of keeping horses to the development of the bicycle as a mode of transportation you didn't have to feed. And The Guardian collected a whole list of brilliant artistic achievements written in the gloomy, sunless summer, including Mary Shelley's Frankenstein, Byron's poems Darkness and Prometheus, and masterpieces by Beethoven and Schubert. At least we got some good art out of the whole mess. Winters in Ireland are always a little dodgy as far as winds go, but on January 6, 1839, the worst storm in recorded history hit — and it was a doozy. The entire country was hit by wind speeds up to 115 mph, and when dawn came, the sun rose on a devastated landscape. The Irish meteorological service, MET Eireann, collected some of the most chilling eyewitness accounts of the night. Here are the highlights. A quarter of Dublin's buildings were damaged, and it was described as a "sacked city." Fires spread across County Longford, with winds picking up fires and dropping them from the sky over the rest of the countryside. Fields were stripped, and hundreds of thousands of trees fell. Tales say that water and fish were picked up and hurled miles across the countryside, that salt from the ocean doused fields in the center of the country. The Dublin Evening Post reported a red aurora borealis over the city, but it's thought the reporter mistook fires in the sky for the Northern Lights. It's probably a good thing they were confused; "the sky is raining fire upon you" feels decidedly more apocalyptic. 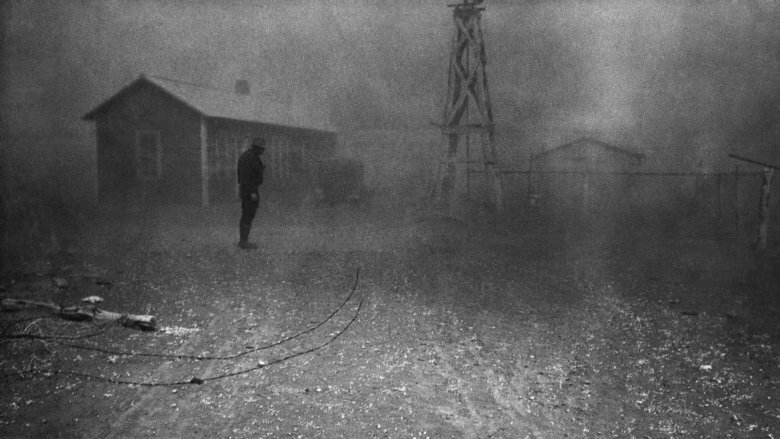 You've probably heard Midwestern America called The Dust Bowl; the National Weather Service says that name was born in the wake of a storm that swept across the prairie on April 14, 1935. It started in Oklahoma and Texas at around 4 p.m., and those who saw it said a wall of blackness moved across the plain. That black cloud was just dirt swept along by 60 mph winds, and those winds brought the kind of darkness that prevents you from seeing your hand in front of your face. Accounts from the time claim the sun disappeared for hours, and some small animals like birds and mice even died. One man reportedly went blind, and many believed it was the end times. There had been dozens of dust storms in the years leading up to this moment, but none had been as severe as this. Dirt and dust filled the air in a storm that was hundreds of miles wide and stretched thousands of feet in the air, and as people sought shelter and hoped they would see the sun rise, Woody Guthrie wrote, "So Long, It's Been Good to Know Yuh." It started because of a series of events that shows just how damaging mankind can be. Farming is pretty hard without water, but farmers thought working the land would bring rains: "rain follows the plow," they said. It was true (by sheer coincidence) for a little while, but when drought hit in 1931, profitable farms grew nothing but dust. If you were paying attention in high school when you read The Merchant of Venice, you might remember a bit where Shakespeare talked about Black Monday. If you don't, according to Historic UK, he's talking about Easter Monday in 1360, which you'll remember from history class was during the Hundred Years' War. (If you don't remember that, you'll just have to trust us.) At this point, Edward III had already stepped on Paris and was marching on Chartres in France, and he was camped outside when a deadly storm — more badass than the French army could ever hope to be — came to town. Night fell, and the temperature dropped. In 30 minutes, freezing rain, falling ice balls, and panic caused by thunder, lightning, and raging winds had killed hundreds of men and thousands of horses. The brief storm was so fierce that Edward took it as a sign from God and signed a peace treaty with the French a few weeks later. The storm's carnage was described as that of a battle by contemporary writers. But any belief that God was using the storm to encourage peace soon crumbled. Another war started up just a few years later. Texas is an ungodly kind of hot in June anyway, but on June 15, 1960, the good people of Kopperl became convinced that God had gone on vacation and that Satan was coming to town in the meantime. According to weather historian Bill Murray (yes, that's really his name; no, not the Bill Murray you're thinking of), it was a standard early morning with the temperature hovering around 70 degrees Fahrenheit. There were a few clouds and a bit of heat lightning, but it wasn't unpleasant — until, that is, the temperature skyrocketed. Within minutes, it reached more than 100 and some people even claimed their thermometers burst when they couldn't register the extreme temperature change fast enough. Power failed, and some people awoke thinking their houses were on fire. Temperatures soared — unofficially to around 140 degrees, according to the National Weather Service — and stayed there for three hours. 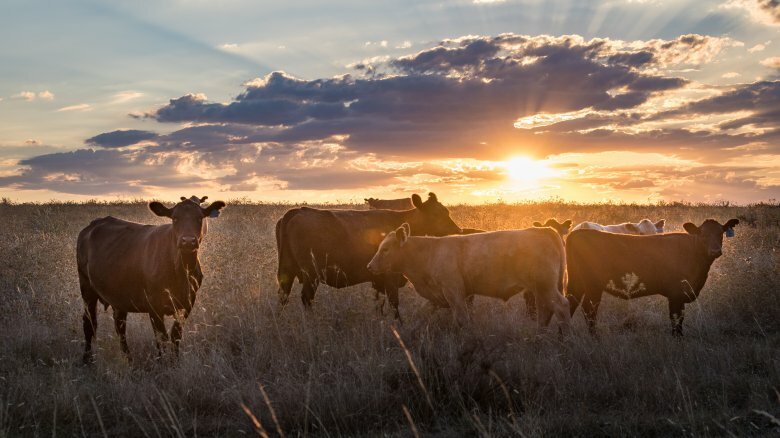 When it finally dropped, Kopperl farmers found that some cattle hadn't survived the intense heat. Worse, corn was seemingly cooked on the stalk and whole fields of cotton had withered and died. No one knew what it was at the time, but today, we call it a heatburst. When air that's risen during a thunderstorm is pushed back down to Earth, it's compressed and superheated. Usually, the temperature at ground level only rises by 20 degrees or so, but Kopperl's 70-degree temperature change is an extreme case that's still called Satan's Storm — for good reason. We can all agree that tornadoes are terrifying. There's not much you can do other than watch them get closer and closer. One or two tornadoes is bad enough, but how about 148 of them? That's how many the National Weather Service counted touching down across 13 states on April 3 and 4, 1974. They were centered over the Ohio valley and somehow claimed only 335 lives. That's nothing short of miraculous, especially considering that one of the tornadoes that hit outside Cincinnati is one of the costliest tornadoes in U.S. history all by itself. Adjusting for inflation, it caused somewhere in the neighborhood of $1.2 billion in damage. Business Insider shared some other terrifying things to take along for your nightmares: some of the tornadoes were as wide as 5 miles, and 15 were simultaneously ravaging the same area at one point. If you think that's nuts, hold on. From April 25-28, 2011, the Weather Channel tracked another super outbreak that swept across the Deep South and up into Pennsylvania and New York. This one contained 349 tornadoes and did around $10.8 billion in damage, again killing more than 300 people. 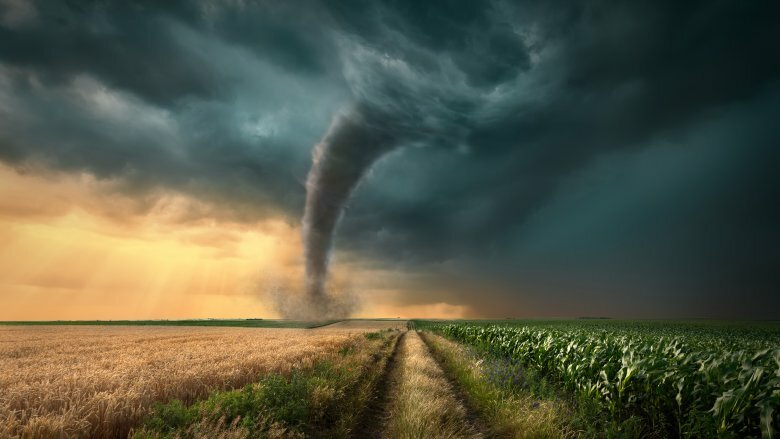 Multiple tornadoes hit the same areas repeatedly, all created by the perfect and deadly combination of warm, humid air at ground level, colder air above, and atmospheric wind shears. If it never happens again, it'll be too soon. You can probably guess what happened on the so-called Dark Day, but it's also proof that nature is creepier than anything your imagination can churn out. To set the scene, here's the story according to Wired. It's just a few years after the American Revolution, so everyone's probably still a little on edge. You're living somewhere in New England, and on the morning of May 19, the sky starts to darken. The Sun turns red, the animals wonder if they should tuck themselves in for the night, and you have to light candles to see what you're doing. Noon is suddenly as dark as midnight! And when night actually comes, the full moon doesn't really help any. Black rain starts to fall in some places, and the world smells and tastes like a coal fire. It's easy to see why people thought Judgment Day was nigh; if that happened today, many of us would find religion in a few heartbeats. Don't snicker with a sense of superiority at your ancestors, either. Modern minds couldn't figure out what caused the Dark Day until 2007, when a study from the University of Missouri's forestry scholars found fire scarring in Ontario trees that corresponded with that gloomy day in 1780. It was smoke from a forest fire, carried on winds moving in precisely the right way to scare the almighty piss out of an entire region. In December 1952, a new thing called "rock and roll" was on the radio and an anticyclone was over London. Briefly, according to the BBC, that means a pocket of air over the city was warm and full of moisture. Since surrounding air was cold, condensation started to form at ground level. Unfortunately for Londoners, that also meant smog. The city was famous for it, thanks to the coal fires of heavy industry and countless homes, but this was something different. The anticyclone stayed in place for five days, collecting pollution, and smothering Londoners like an angry god holding a pillow over the face of a misbehaving city. According to History, the smog covered an area 30 miles wide, and with no wind to help disperse the pollution, the rotten-egg smell was everywhere. It was so bad that some eyewitnesses said they couldn't see their own feet. 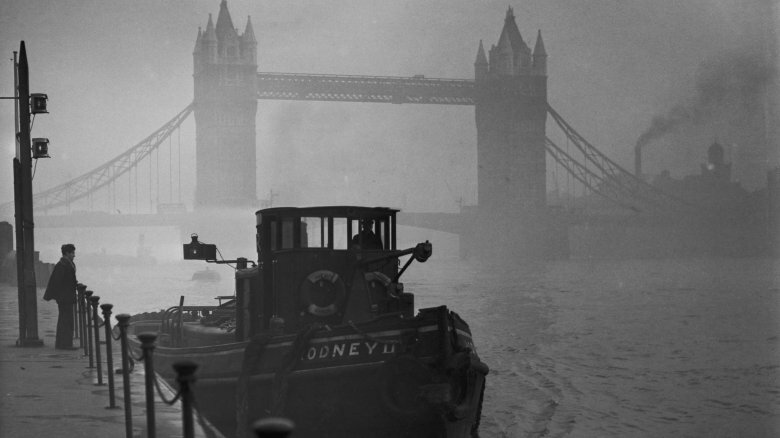 Boats couldn't navigate the Thames, cars were abandoned, and Londoners were forced to travel on foot across a black slime that covered everything. Animals choked to death, birds blindly flew into buildings and fell from the sky, and crime rose. Londoners couldn't even find solace at the movies because they couldn't see the screen. When the city started running out of coffins, the human toll became more obvious, too. It's unclear how many people died; contemporary figures suggest about 4,000 people. Other estimates suggest the death toll was actually around 12,000, and while it wasn't the city's last deadly smog, it did kick-start some clean air legislation. And thus God removed his pillow from London's face … for the time being. 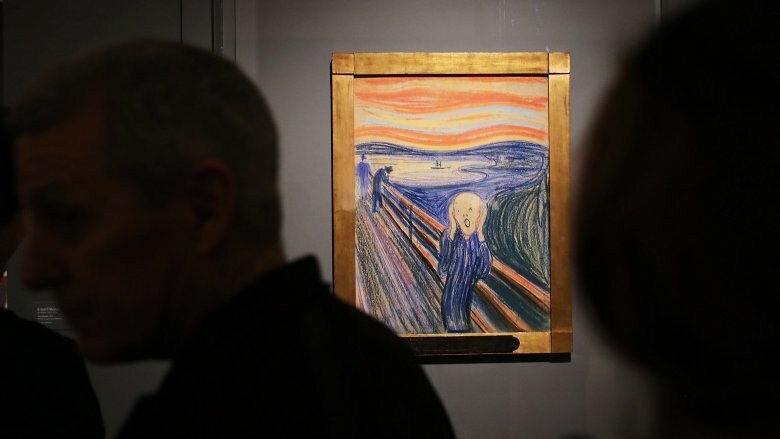 You know The Scream, the Edvard Munch painting that makes you feel more and more uncomfortable the longer you look at it. (It's like it's looking back right into your soul.) Unsettling, sure, but what's more unsettling is the distinct possibility that he was painting some real-life weather events. 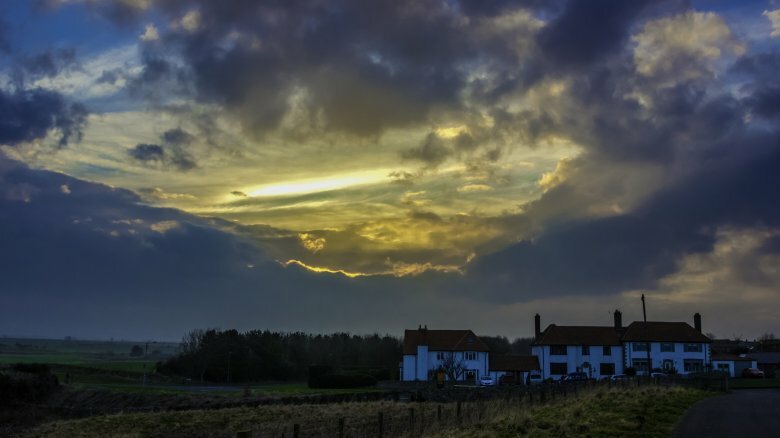 There are a couple different theories about what was going on in the sky above Munch when he found his inspiration. One, according to researchers from Texas State University, is that he was looking at the fallout from the eruption of Krakatoa, which happened on August 27, 1883. All the dust and gas that ended up in the atmosphere turned the skies red for months, with red twilights reported well into 1884. When the researchers found the spot Munch was painting (presumably without the screamer still standing there), they were looking southwest — toward Krakatoa. Experts from the University of Oslo (via The Telegraph) disagree, though, and point to the wavy clouds as the important clue. They say they're rare mother-of-pearl clouds, equal parts epic and terrifying. They form in the winter months at extremely high altitudes as a mix of nitric acid, ice crystals, and supercooled water. (The Weather Channel says they release chlorine gas, too, so those gorgeous clouds are eating a hole in the atmosphere.) Whichever theory is true, that guy was screaming for a very real reason. Most weird weather events are things you'll never get to see. They happen once or twice and then become footnotes in history books. That's what makes them weird, right? Well, you can totally visit this one. All you have to do is head to Venezuela where Lake Maracaibo joins up with the Catatumbo River. You can even pick your dates. 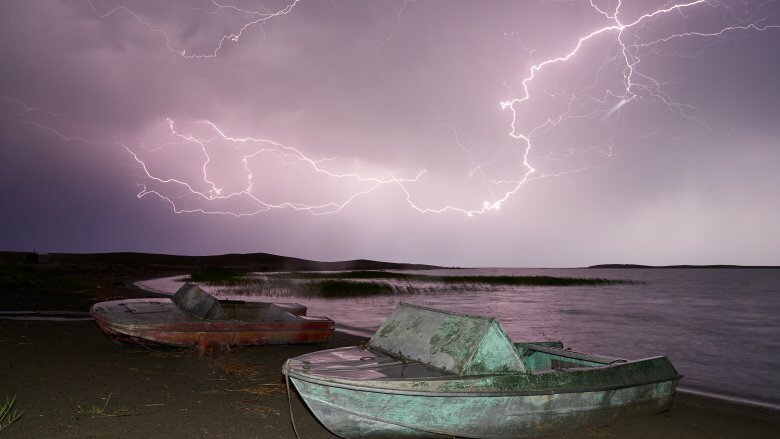 With an average of 260 days of lightning-filled skies every year, according to the BBC, it's almost impossible to miss. Make it there in October, and you'll be treated to a spectacular light show that averages around 28 flashes of lightning every minute. That's weird, but it's not the weirdest part. The weirdest part is that no one knows why this so-called "everlasting storm" happens. 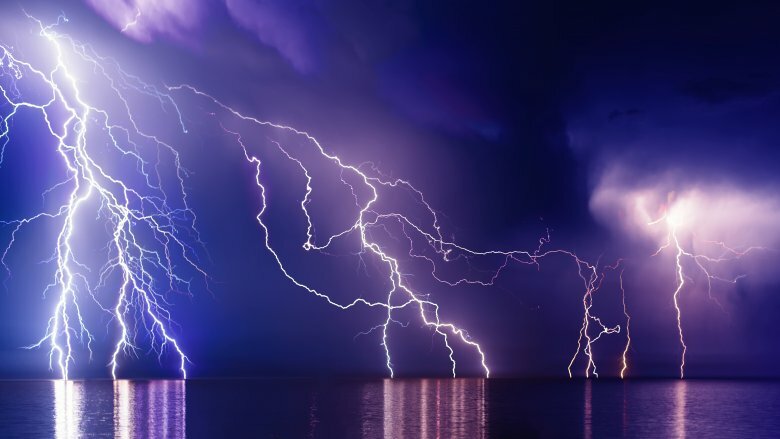 There are a ton of theories, of course, that range from a secret uranium deposit attracting the lightning to a high concentration of methane making the air extra conductive. The theory that's all the rage these days points to a peculiar arrangement of land irregularities and weather patterns that come together to form this incredible show. Whatever it is, it can be seen from 250 miles away and was first documented by Westerners in 1595. An appeal to a world full of people who tend to break nice things: please don't break this one. It's awesome.